As my book, Beloved, I Can Show You Heaven was just recently published, I reflect back on my journey, both in the process of writing and publishing, and more importantly, the journey of grief through Mediumship. 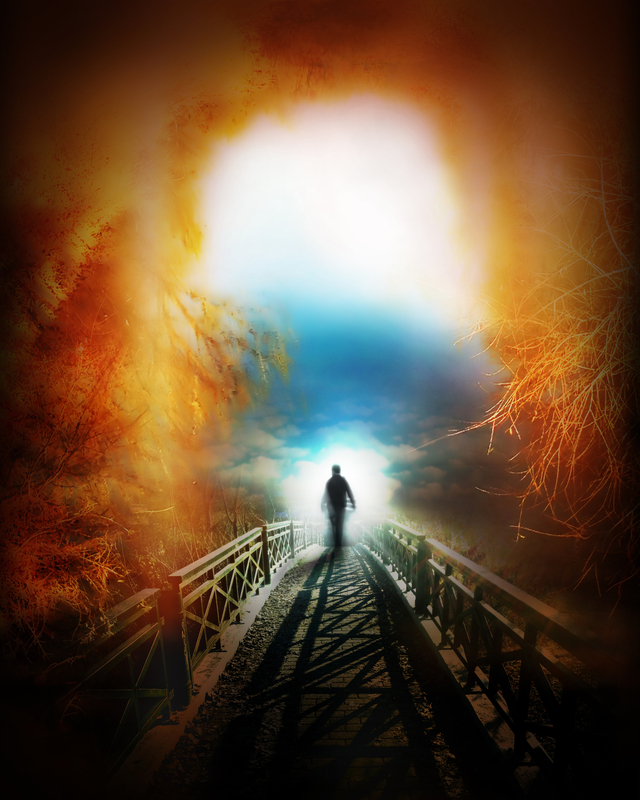 I am consciously building bridges through mediumship to our loved ones in heaven. We who have lost loved ones in the physical form, are familiar with our own journey of grief and getting on with a different kind of life than we probably planned for ourselves. The waves of grief are like the waves of the ocean, sometimes strong enough to knock us down, sometimes gently lapping on the shores, but never ceasing to stop entirely. Sometimes it is easy to wonder if the people left in our world have any idea that we still carry pain in our heart, behind our upbeat smile. Have they forgotten, or are they just not able to allow themselves to feel the emotion? Reading my book in paperback form for the first time this weekend allowed me to reflect on my journey of connecting with my beloved late husband. The Mediumship readings helped me put so much into perspective. For those who believe in a spiritual afterlife, the purpose of Mediumship is not for our entertainment. I was a believer before my husband died. I needed real communication with him, and I still do. I am still working on my relationship with my husband every day. I am working on dialoguing with him, to get past the anger and the hurt and to come into a better relationship with myself so that I can be stronger, more loving, and more faithful and hopeful each day of my life. This leads me to think of the value of my own Mediumship Practice as not only to give a living loved one closure, but much more so, to help the living loved one to grow and evolve through the new spiritual relationship with the deceased. Often I’ve heard friends and acquaintances talk about who’s a good Medium and who’s accurate because of the details the Medium provides that they could not otherwise have known. For me, I’ve never doubted that my husband was with me, so I just wanted to cut to the chase and didn’t need proof. I wanted to work through bigger issues in my life and find hope. It’s also nice to get signs from a deceased loved one, a penny, a rainbow, and so on, but that never replaces having them there to hold you and to help you in the physical. When your loved one has crossed into the spiritual dimension, it’s important to build your own metaphorical bridge to the other side to meet them. Sometimes, like I did, we need help with that. We need someone to help us connect with our loved ones in heaven, especially when the pain we are in keeps us from being receptive. If you need someone to help you build that bridge to your loved one, I am here for you. I can help you make that deeper connection to your loved one in heaven that will help your heart heal. Thank you very much. Your feedback is appreciated. Stay tuned for more Blog Posts and changes to my website soon.